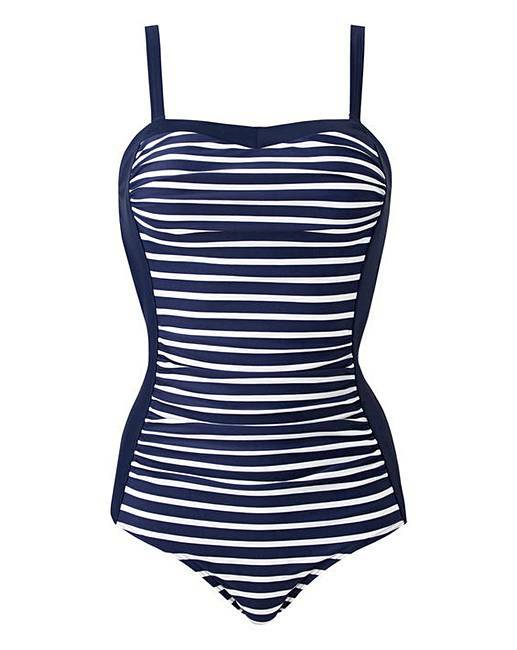 Magisculpt Navy Stripe Bandeau Swimsuit is rated 5.0 out of 5 by 3. Meet the LBD of swimsuits! This Magisculpt swimsuit features all- round power mesh panels with firm control technology to shape and sculpt your curves. With fixed foam cups and removable straps for added support and comfort. 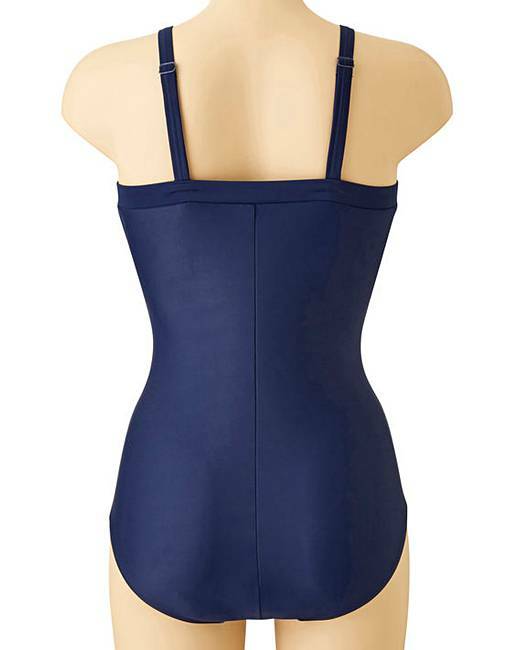 Rated 5 out of 5 by Earthangel from Lovely swimsuit Really pleased with this swimsuit. It holds you in as stated also the fit is perfect looks really good on.pleased with this purchase. Rated 5 out of 5 by Sandycruiser from Super fit and support Bought this and loved it so bought another. Straps do come unhooked when you put it on. Rated 5 out of 5 by Anno from Great fit Fantastic fit and comfy. To find a costume that suits my figure is amazing. So flattering too.